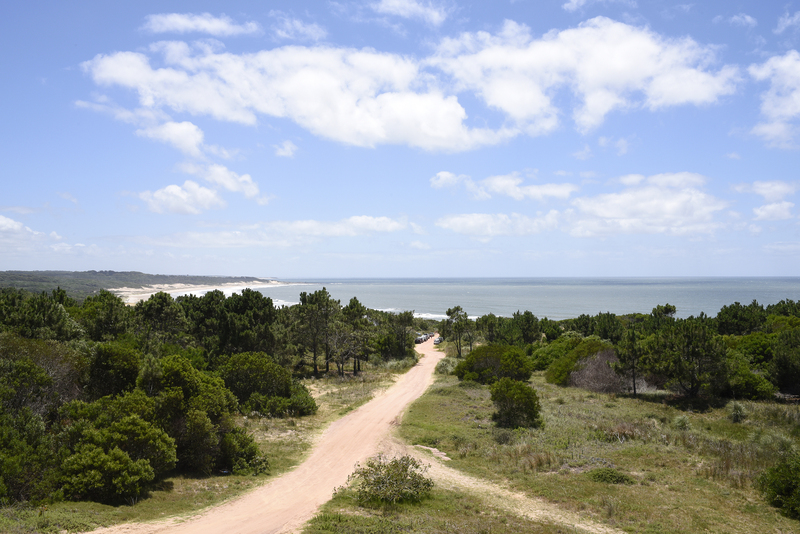 Far north on the coast of Uruguay and just forty kilometres from the Brazilian border is the small town of Punta del Diablo. It was formerly a fishing village that has become increasingly popular with surfers, who flock to the beaches Playa de Rivero and Playa de la Viuda. 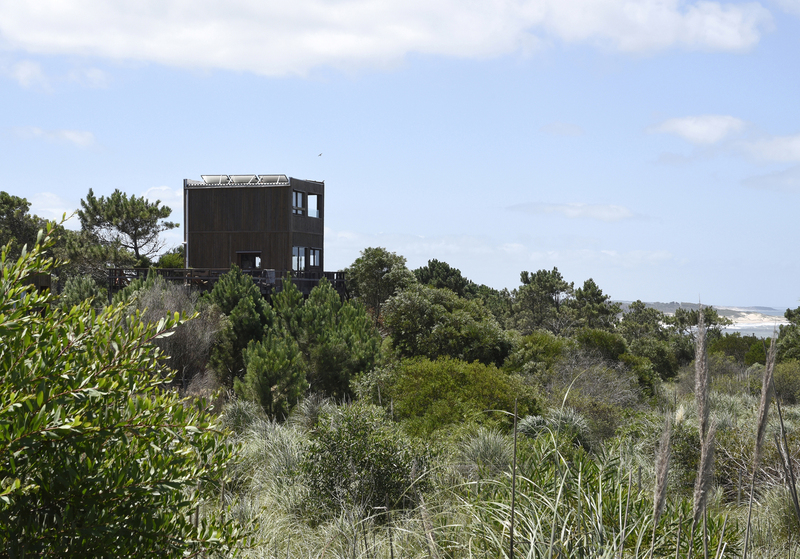 But it’s at the quieter end by Playa Grande, which separates Punta del Diablo from Santa Teresa national park, where Rosi and Martin have built themselves an off-the-grid house called ‘Vía Verde’. They live here with their son Telmo and a dog called Trotsky that has adopted them. Vía Verde, the green way, is a house designed to make the least impact on nature. 150 square meters split on several levels and with large terraced areas it stands alone on the brink of the sea on the outskirts of the small town. The main house is on three levels and contains the communal area with a small kitchen, five bedrooms and a couple of bathrooms and toilets. It’s sparsely furnished with only the bare necessities and with few decorations. At the rear of the house is a separate building consisting of one room, which is Rosi and Martin’s private living space. The location is stunningly beautiful. Just a short walk down the dirt road is the natural beach of Playa Grande, where whales can be spotted, and a bike ride away is the national park. At night the stars are bright and clear and cover the sky like diamonds. 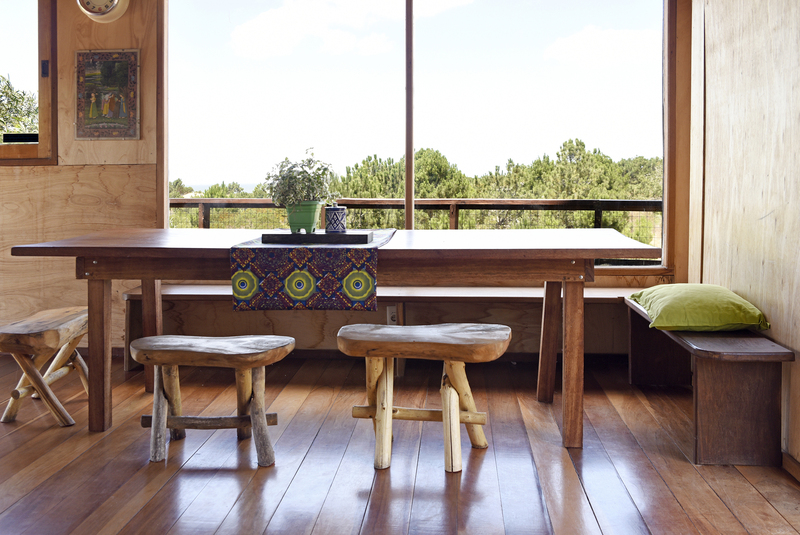 The house is built using both certified woods and local wood from the adjacent national park. It’s a ‘passive house’, which is a standard for energy efficiency that reduces its ecological footprint. It’s constructed to require a minimum of energy to heat it or to cool it. The façade that faces the worst winds that usually come from the southeast, has no windows. The windows and doors of the house are positioned to allow the air to circulate in the best possible way, creating a natural air conditioning. 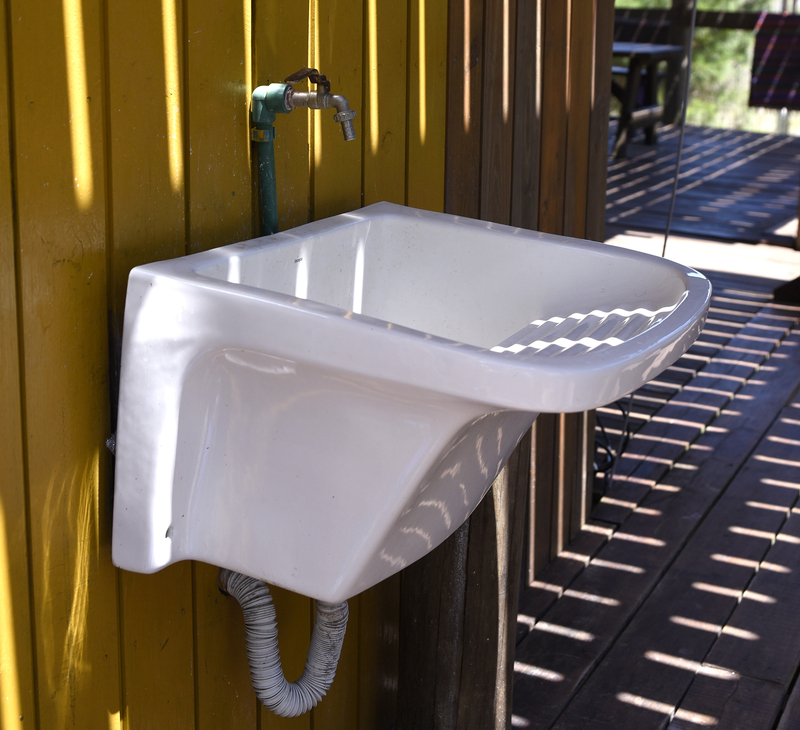 The electricity comes from solar panels on the roof and the water comes from a well on the grounds. There is a wetland pool that filters the graywater and the blackwater goes into a separate tank. A compost takes care of the organic food waste. Everything that is transported here comes either on foot or by bike. There is no washing machine. Instead Rosi washes the bed linen, towels and clothes in a sink. I’m taken aback by this, but she just laughs and says that it helps her to keep fit. Congratulations on your book release! Fabulous! Thanks! Feels great to be here at last!